The Himalayan pink salt known also as “white gold” is rich in minerals, particularly iron that confers the characteristic pink color. The pink salt does not receive any whitening treatments, refination process or oligominerals with chemical procedures. COLOR: Pink color characteristic of the Himalayan salt. Medium / large grains with notes of white truffle (Tuber magnatum Pico) pieces. 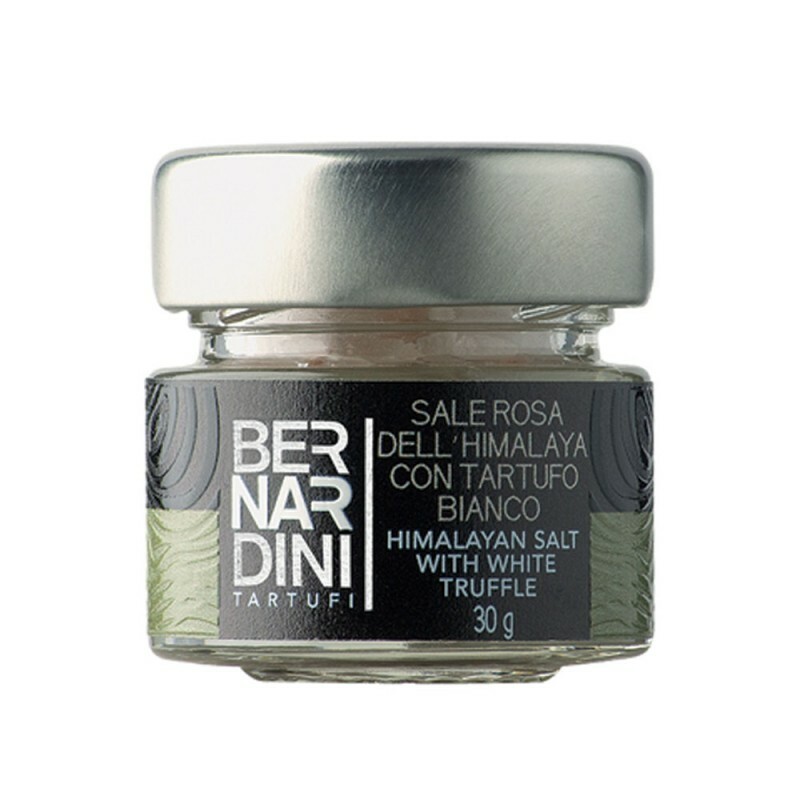 INGREDIENTS: Himalayan salt, white truffle ( Tuber magnatum Pico ) 1% ( corresponding to the 4% of fresh truffle ), flavor. USEFULL INFORMATIONS: It is ideal as seasoning for boiled and grilled meat, fish and vegetables courses. To use raw, avoiding salt dishes beforehand.